Available the book of the Raven Queen’s Story, in PDF, written by Shannone Hale. This is a little book that tells us a little more about Raven Queen, one of the main characters of Ever After High. She is the daughter of Evil Queen. This book is short and easy to read and will make you to have a good time with Raven Queen and her world along 11 pages that has this book. “Once upon a new school year, Raven Queen was…” Do you want to know how this story continues? So just…. 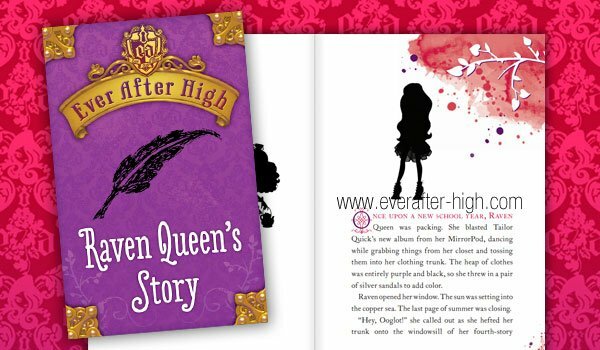 We are expecting to read the stories from other students at Ever AFter High that will be soon available as ebook. Here you have a list to know when the other books will be released. There will be also another book called The Storybook of Legends that will come on October 2013. 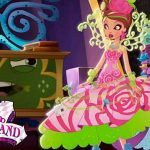 I LOVE ever after high. My favorite is Rave queen. Make me a character please!!! Ariel’s daughter. That would be…. AMAZING!!! Aslynn Ella is my favourite!!! Because she is Cinderella’s daughter who is the most favourite disney princess.Right? how many chapters are in the Raven Queen’s Story and the Madeline Hatter Story?? 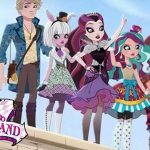 Great!I really like ever after high!! My advice is to add Belle’s daugther also and Ariels daughter who can survive in water and suface both.If you liked my idea,then surely add them.